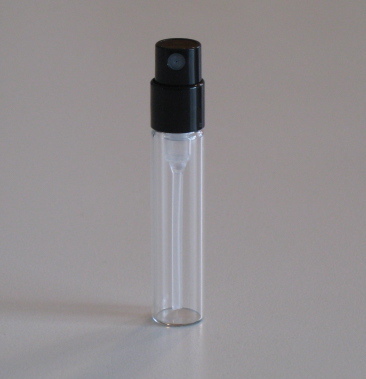 Click the button below to add the Atomizer - Clear Glass w/Black Pump - 1/15oz (2.5mL) to your wish list. BEFORE BUYING -- PLEASE READ INSTRUCTIONS AT BOTTOM OF THIS LISTING!!! 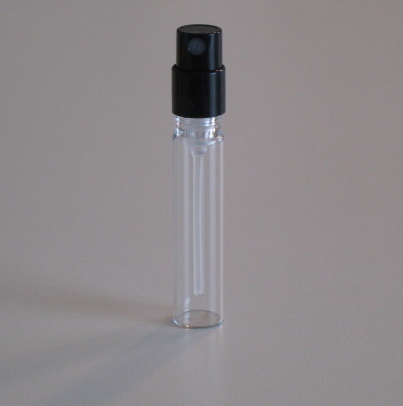 Glass atomizers - round, of clear glass with Black Sprayer sprayer - 2.5ml(1/15oz). The pumps fit very tightly in the vials which may prove challenging to insert the first time you try to insert one. Here is what we recommend: Try it with an empty vial until you get the hang of. 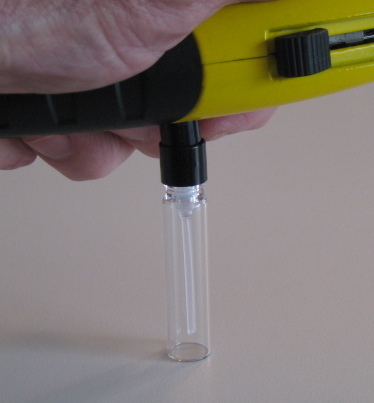 First: Set set an empty vial on a table or counter top and place the pump in it. As you can see in this photo, the pump is not seated. Here is a photo of the pump seated properly in the vial. 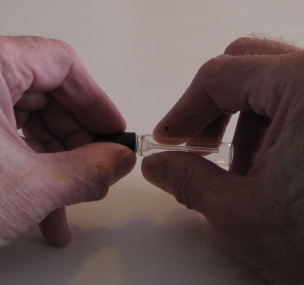 Third: Now, twist the pump from side to side while pulling on it until it comes out of the vial. You may want to try inserting the pump and removing it a few more times until you are comfortable with it. Then you are ready to fill the vials with perfume and try it.